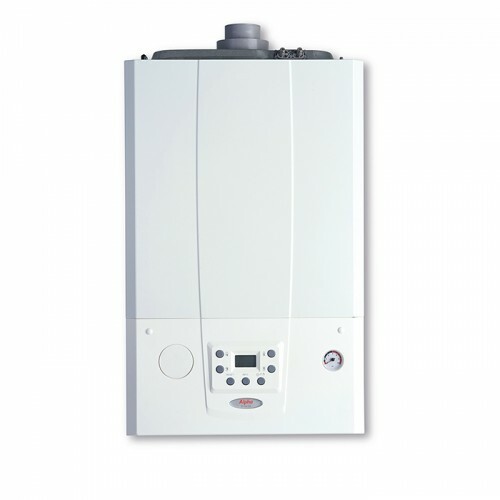 The Evoke range features a brand new stainless steel heat exchanger and is our smallest combi yet. The newest addition to our combi boilers, theEvoke range features a brand new stainless steel heat exchanger and is our smallest yet. Being compact allows an easy fit in a standard kitchen cupboard and servicing is made easy with front access. Compact size and layout Backlit LCD with push button controls and detailed operational information High efficiency Grundfos pump and hydroblock assembly Single electrode Easy-access NTCs on front of pipes One-piece cartridge diverter valve Clip-on DHW temperature sensor Dry-change NTCs Combined condensate and pressure relief valve connection Frost protection and daily pump kick Easy access for servicing IPX4D protection Low electrical consumption With two outputs available and the capability to deliver 14.1 litres of water per minute, this combi provides an ideal solution for small to medium sized homes.